For financial advisors and investors, watching the roller-coaster-ride of the stock market is a sufficient way to make them queasy. While, historically, the stock market has always trended up, many investors will find themselves feeling anxious as they watch the values of their portfolios fluctuate with the market. Unless, however, the investors have a portion of their short-term investments in the bond or precious metals market. When advisors have portfolios that are limited to one type of asset, the volatility of that asset class will be reflected in the portfolio’s value. On the other hand, when advisors allocate portfolios among several different assets, the overall portfolio can be affected by the variable rates of volatility and the uncorrelated movements of each asset class. Asset allocation is a financial strategy that involves selecting numerous asset classes to create a balanced and diversified portfolio to match their specific investment goals and risk tolerance. The idea is that the selected asset classes don’t move in correspondence, but instead they move in various directions at various times, which are influenced the multiple aspects of the economic cycle. Consider the following examples, while some stock types may react favorably when inflation strikes, other stock types may not. As inflation expectations go up, as will the price of gold. When stock prices tend to rise, bond prices tend to go down. Because these asset classes fluctuate differently and nobody can predict when price movements will shift, the best course for advisors and investors is to have exposure in multiple asset classes. With asset allocation, financial investors can reduce their portfolio’s volatility as well as market risk. However, it is important to be aware of other forms of investment risk that can hurt their portfolio, too. Investment portfolios that are not protected against inflation risk, tax risk, or interest rate risk the chances of having its values adversely impacted for a period of time. But, with a properly diversified and well-balanced allocation of asset classes can help address these major portfolio risks. Risk Tolerance. Is the advisor willing to lose a portion of their investment to receive a larger gain? Investment Goals. Is the advisor seeking income or capital appreciation from their investments? Investment Preferences. Is there one type of investment that an advisor prefers over another? Are there any that they want to avoid? Commitment. How long can the advisor commit to their investment strategies? Strategic asset allocation is an allocation strategy that involves setting target allocations for a variety of asset classes and rebalancing them periodically. With this strategy, an investors portfolio is rebalanced to the original allocations when they significantly depart from the initial settings caused by the various returns from the multiple asset classes. 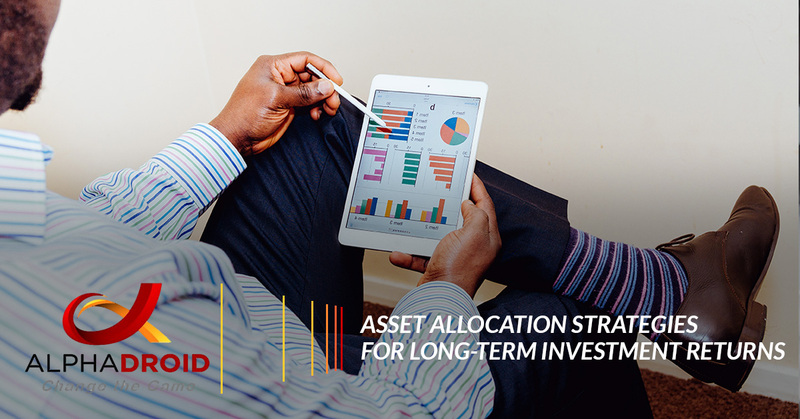 Over an extended period of time, strategic asset allocation may seem like a relatively rigid strategy. If this happens advisors may choose to occasionally pursue short-term, tactical deviations from the asset mix to take advantage of unusual or superior investment opportunities. Tactical asset allocation can help shift the percentage of assets held in various categories to benefit from strong market sectors. This strategy allows investors to create additional value by taking advantage of certain situations in the marketplace and is commonly described as a moderately active strategy. Tactical allocation strategies do require discipline, as it is essential for advisors to indicate when short-term opportunities run their course, rebalancing the portfolio to the long-term asset position afterward. Because strategic asset allocation entails a buy-and-hold strategy, in which an investor buys a stock and holds onto it for a long time, no matter how the market fluctuates, advisors may rather be interested in adopting a constant-weighting approach to asset allocation. Using this asset allocation strategy will allow investors and advisors to consistently rebalance their portfolio. For example, if an asset is declining in value, an advisor may choose to purchase more of that asset. And, if the value of the asset is increasing, an advisor may choose to sell the asset. Using an insured asset allocation strategy advisors establish a base portfolio value under which the portfolio should not be allowed to drop to. As long as their portfolio achieves a return above the established base, advisors actively manage their portfolios in an attempt to increase its value as much as possible. In the event that a portfolio’s value ever drops below the established base value, advisors will then invest in risk-free assets to make the base value fixed. At this time, investors may choose to either reallocate their assets or change their investment strategy altogether. This strategy may be the best-fitting solution for risk-averse investors who want to achieve a certain level of active portfolio management, but also appreciate the security of establishing an insured floor value in which the portfolio that cannot decline. For example, an advisor who wishes to develop a minimum standard of living for their clients during their retirement might find an insured asset allocation strategy is the best fit to reach the set goals. With dynamic asset allocation, advisors are constantly changing the mix of assets based on if the market rises or falls, or if the economy is strong or weak. Using a dynamic allocation strategy, advisors will generally sell assets that are falling, and purchase those that are rising, which makes this strategy the exact opposite of a constant-weighting asset allocation strategy. If a stock market is falling, investors will sell their stocks in anticipation of additional decreases. On the other hand, if a marker is rising, advisors will purchase stocks in anticipation of additional market gains. With this asset allocation strategy, advisors will generally consider both their expectations and risk in developing an asset mix. While most other allocation strategies account for expectations for future markets, they don’t account for investment risk tolerance. Integrated asset allocation, on the other hand, involves aspects of all asset allocation strategies, accounting for both expectations and actual changes in their risk tolerance and capital markets. Out of all the strategies, integrated allocation us a more broad asset allocation strategy, even though it only allows dynamic or constant-weighing allocations — choosing to implement two allocation strategies that compete with each other is never part of an allocation strategy. Asset allocation can be either be active or passive. When an investor establishes an asset allocation strategies should reflect their risk tolerance and personal investment goals and objectives. Things are bound to change over time. Advisors ten to become more conservative with their clients investments as they get closer to retirement. Plus, the financial markets will fluctuate as will the economy’s outlook. An advisor’s asset allocation strategy needs to change to reflect their changing situations and prevailing conditions of the stock market. In addition, their portfolio allocation will shift as a result of losses and gains in the market, which can change its balance. For example, if the market experiences big gains that are reinvested into additional stock investments, their portfolio may be heavier with stocks over the other classes of assets. Asset allocation software was designed to help serious investment and financial advisors analyze the risk and return characteristic of client portfolios while simultaneously providing them with a method of improving portfolio risk and return. With Alphadroid, an elite asset allocation software for financial advisors, advisors are better equipped to illustrate the risk and return characteristics of a client’s portfolio. Using sector momentum measurements — to help pinpoint which portions of the market are likely to outperform near-term — and the Modern Portfolio Theory and algorithmic trading strategies, AlphaDroid is effective at helping financial investors and advisors with analyzing, constructing, and comparing investment portfolios. AlphaDroid makes the asset allocation, and the financial advising, process much simpler. Interested in seeing how AlphaDroid works? Try a free trial 30-day trial today!